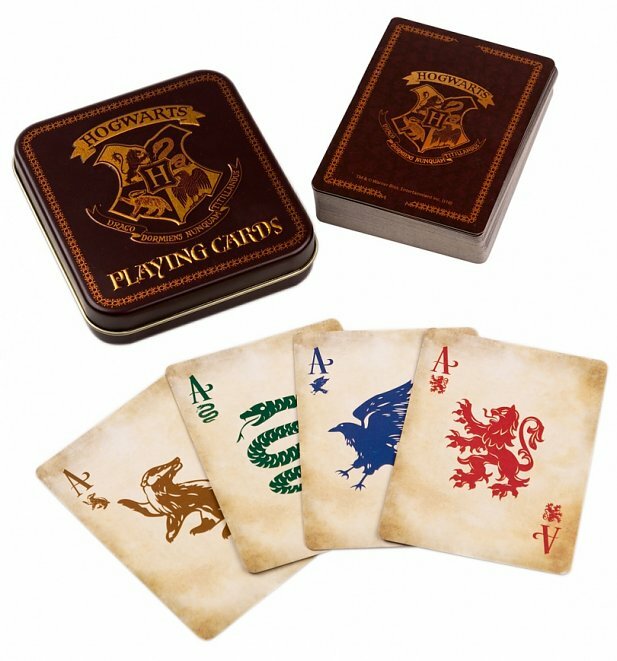 Practice your magic with this fun set of antique looking playing cards, featuring the House Crests from Hogwarts School Of Wizardry in the magical phenomenon, Harry Potter. Review: Bought as a present, recipient delighted. 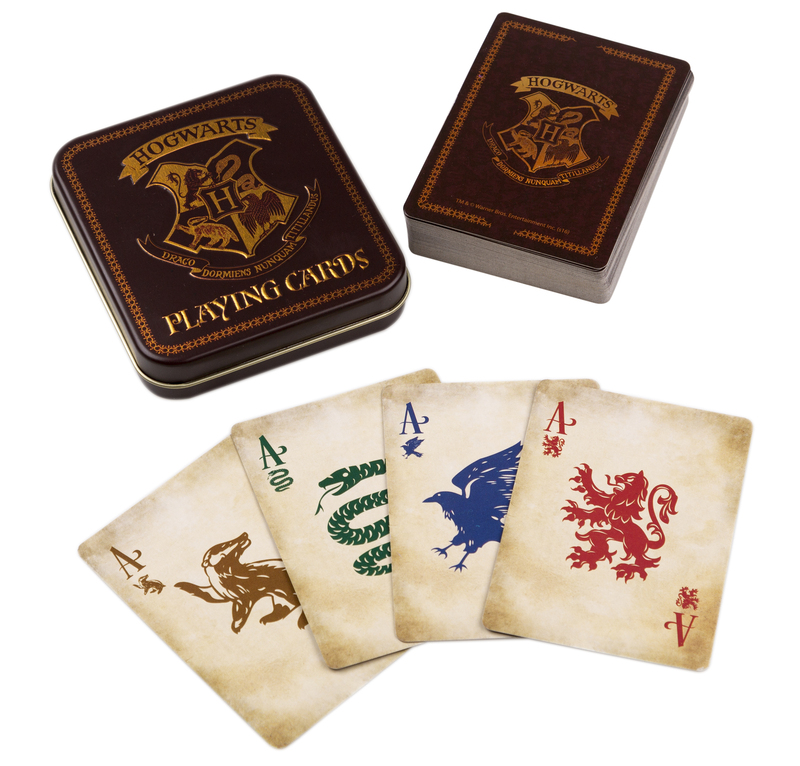 Review: Great for Harry Potter fans, the cards come in a really nice tin. Review: Great gift for nieces and nephew who live HP! Very premium looking tin also. Happy with this purchase and safe packaging / fast delivery.